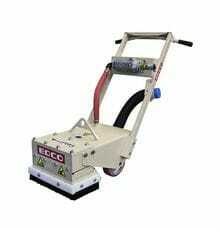 We offer a complete line of EDCO equipment for prepping, removing, leveling, cleaning, and texturing concrete floors. By using various accessories and tooling, one can remove floor coverings like linoleum and ceramics, as well as coatings like epoxy, urethane, paint, waterproofing membrane, and tile adhesive. The EDCO Crete-Plane™ Scarifiers include machines and cutting tools for leveling, removing and texturing (scarifying) surfaces. The come in both manual walk-behind and self-propelled. They come in the following sizes: 8″, 10″, and 12″, both electric and gasoline powered. 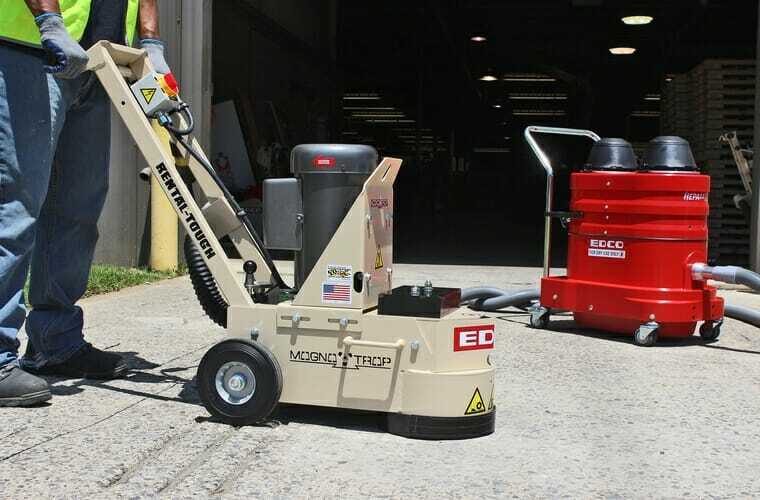 EDCO MAGNA-TRAP® floor grinders come in either single or dual stationary head design, powered by gasoline engines or electric motors. 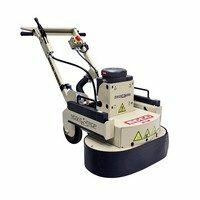 These models are for smoothing, cleaning, thin coating removal, and prepping concrete surfaces. They will remove up to 1/16″ per pass using diamond segments. The new MAGNA-TRAP® plates allow for the use of a great variety of tooling options. 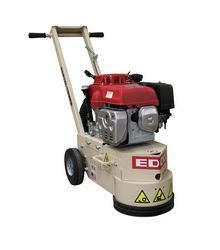 EDCO MAGNA-TRAP® turbo grinders are 10” high speed grinders that are very aggressive. These are designed for industrial tasks like leveling expansion joints, high spots and bridge decks; removing thick coatings, and smoothing rough surfaces. Turbo grinders grind five times faster than a standard floor grinder. They are available in both electric and gasoline engine driven. 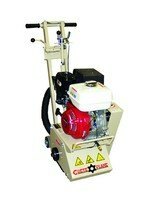 The EDCO CRETE-CRUSH™ pneumatic scabblers are used where a greater amount of concrete must be removed. There are two models, the three head and five head version, which hammer either 5-point or 9-point carbide bits in the concrete surface, removing up to ¼” per pass.